The Prime Minister’s New 15 Point Programme for the Welfare of Minorities was announced in June, 2006. It provides that a pre-matric , Post Matric scholarship scheme for meritorious students from minority communities would be implemented. The scholarship at pre-matric level will encourage parents from minority communities to send their school going children to school, lighten their financial burden on school education and sustain their efforts to support their children to complete school education. the Post Matric Scholarships scheme is to award scholarships to meritorious students belonging to economically weaker sections of minority community so as to provide them better opportunities for higher education, increase their rate of attainment in higher education and enhance their employ-ability. Scholarship will be awarded to the students who have secured not less than 50% marks in the previous final examination and annual income of their parents/guardian from all sources does not exceed Rs. 1 lakh for Pre-matic Scholarships and Rs.2.00 lakh for Post-Matric Scholarships. 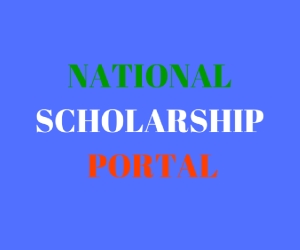 How to apply Minority Pre, Post-Matric Scholarships through National Scholarship Portal ? The concerned State Government/Union Territory Administration will supply the application forms, till such time computerized systems are made operational by the State Governments/Union Territory Administrations. The application forms should be received back alongwith requisite certificates/certifications within the stipulated period. The scheme will be announced by the concerned State Government/Union Territory Administration well in time, through advertisements in the leading language newspapers and local dailies and by using other suitable publicity media. Click Here for Complete Procedure for Apply Minority Scholarships through National Scholarships portal. In case of Renewal: Self-Attested Certificate of Previous Year Marksheet as filled in the Form. (Mandatory). Renewal will be opened soon. The students who got Scholarship in academic year 2016-17 & continuing the same course are eligible to apply for Renewal only. Studets whose status is under process in NSP 2.0 for the academic year 2016-17 are requested to wait till renewal is open. The last date for submission of online applications for Pre-matric and Post-matric scholarships for 2016-17 for students belonging to the minority communities has been extended further till 30 September. Plz can you tell me how to do institution verification .I hv asked my institute about this thy told to get a printout of the application form but I can't print it unit I submit whole documents. .so could u help me about this..
after submit your whole documents & printed application form to your institute. Hi... I wanted to appu for the post matrix scholarship... Since I did not have institution verification form I had to wait till today... Now when I fill in the form online ... It shows that there is no scheme available for me .... But my according to the nsp norms I am eligible for the scholorship .... Does the site have any problem? As the dates have been extended till 30 September... Please reply. once again check your filled application form, check your previous Marks parentage, less than 50 % server don't show the available schemes. Also what is the Helpiline Tollfree No?? Contact your area nodal officer (or) Minority office for institution Registration. i am also called minority office, he told there is no need to upload any documents for pre matric scholarship. NO NEED TO UPLOAD ANY DOCUMENTS FOR PRE MATRIC IS IT TRUE..?? Is councillor certificate granted as residential certificate? I have already uploaded my documents for minority scholarship. And after some few days I got a message from NSP team saying that my name doesn't not match with my Aadhaar card name. Well the problem is I don't use my surname in all my documents of academic certificates as for adhaar I'm using my surname. So should I just change the name only in the application or in all the documents. Or should I correct my adhaar detail. Please let me know in the earliest.. Deadline is day aftr tomorrow. What should I do? Last date of Registration/Submission has been extended upto 31 October 2016.